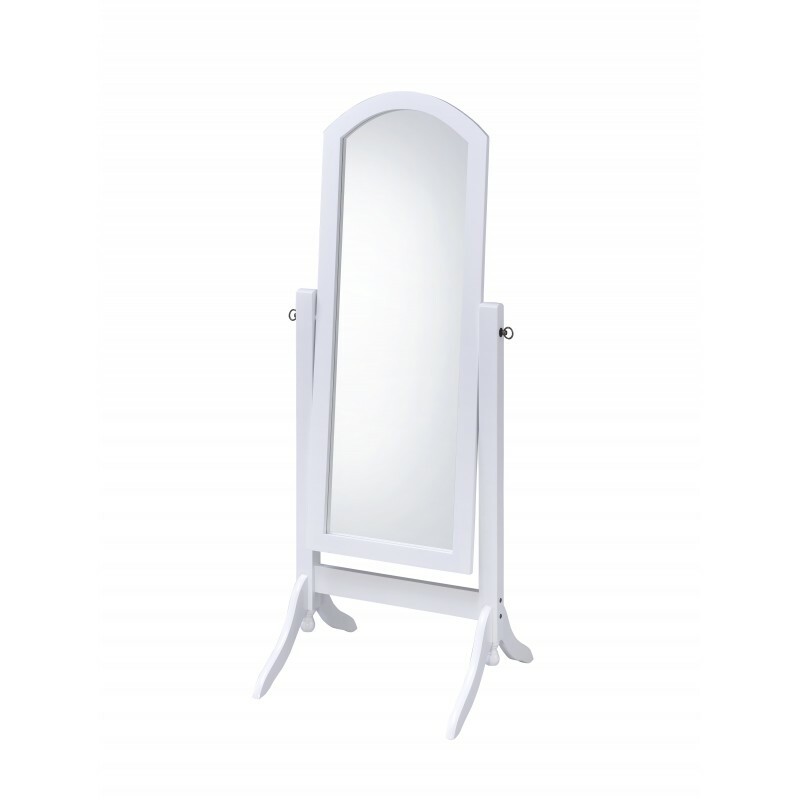 Barrington Cheval Mirror in White Rubber Wood with Arc Top Finish. 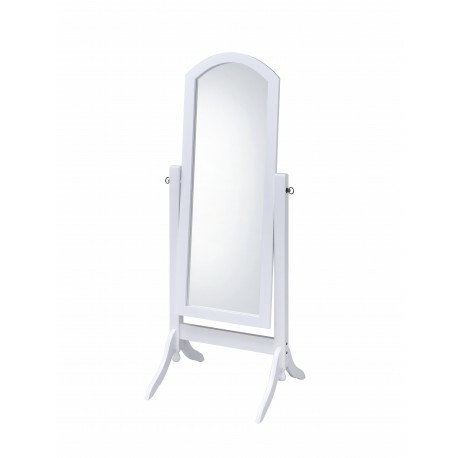 Barrington Cheval Mirror in White Rubber Wood with Arc Top Finish. 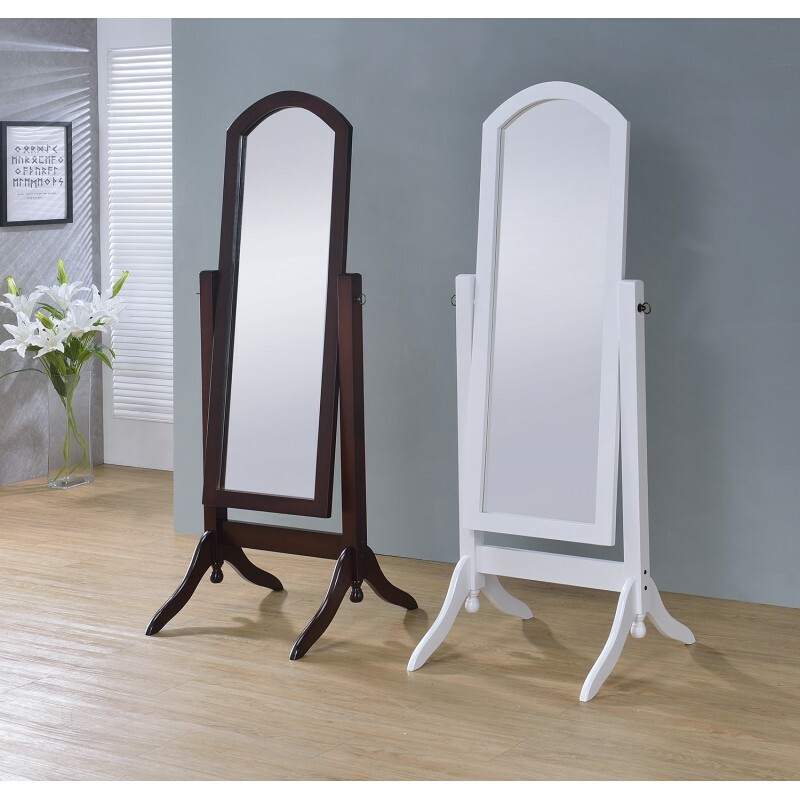 This gracious rectangular cheval mirror puts on an extra decorative element to your room. 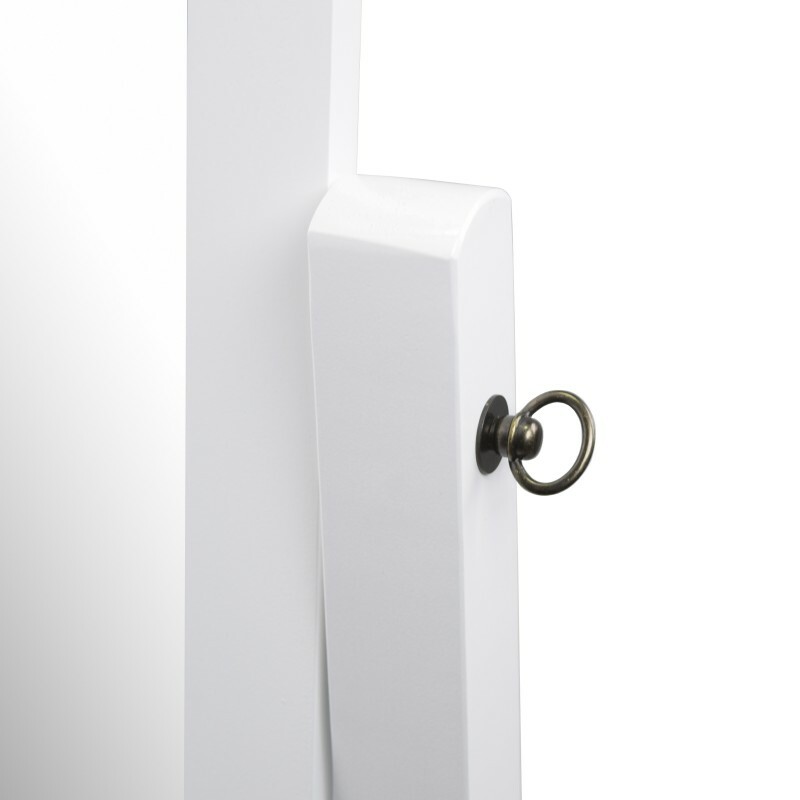 Designed with a swivel-tilt capability, this full-length standalone mirror can easily be adjusted to the angle that you want. 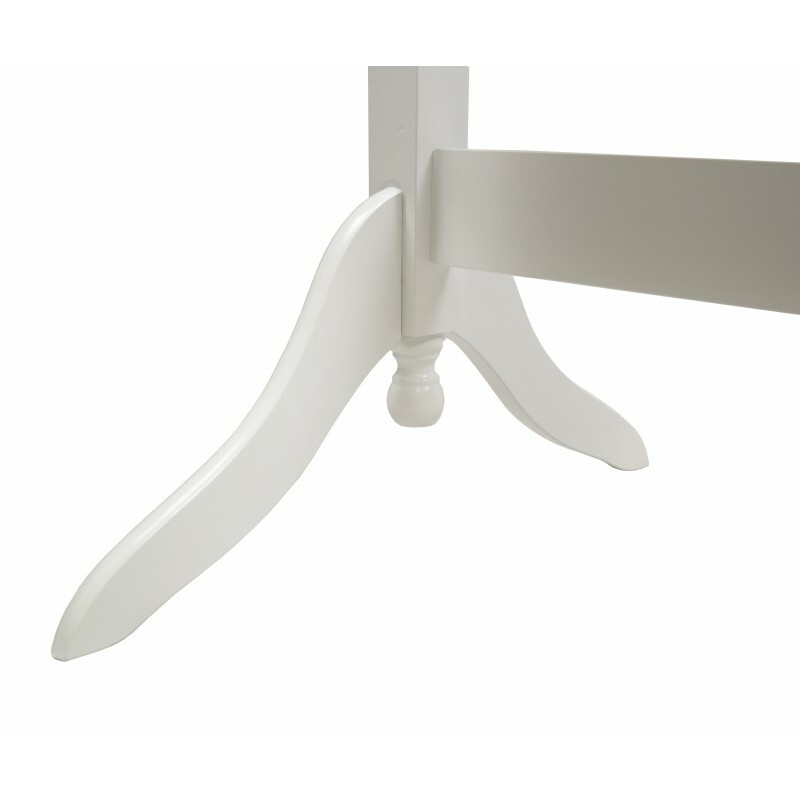 The sturdy rubber wood frame in white gives the feeling of stylish, neat, and elegant. Barrington Cheval Mirror is a piece of furniture and decor perfect to the bedroom, living room, dining room, or dressing area.